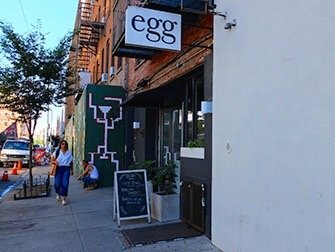 Williamsburg in Brooklyn is a hip, artistic neighbourhood in New York. Due to a historical influx of a wide variety of nationalities, Williamsburg is a diverse neighbourhood, with influences from many cultures. Today, Williamsburg remains an influential and popular area of the city, where lots of famous people live. The Industrial looking neighbourhood is known for its independent cafes, boutiques and the famous Brooklyn Brewery. One day is plenty of time to get to know this part of New York. Most shops open at around midday, so go in the afternoon and stay for dinner and a drink in one of the many cool bars. Until recently, brands like Starbucks and J. Crew were nowhere to be found in Williamsburg, however lately the area has seen a number of big chains opening their doors. They are, however, only permitted to open stores that fit in aesthetically with the rest of the neighbourhood, so all these stores have the typical Williamsburg touches. Although, it is still the small, unique shops that set the tone for the area. 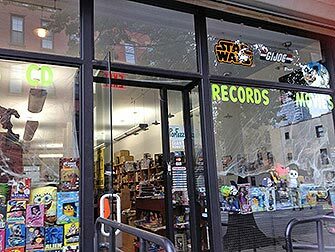 At Popfuzz, for example, you can find a broad assortment of pop culture related goods, like records, DVDs, comic books, film memorabilia and Marilyn Monroe dolls. Are you a music fan? Then be sure to pay a visit to Earwax. Here, you can find a wide range of new material on vinyl, and, most noteworthy, a team who know what they are talking about. For the kids, head to Mini Jake; a hip shop selling sustainable designer goods for babies and children. Here, you can find clothes, books, organic play dough, push chairs and lots more. Do you want to surprise your lover with a unique ring or bracelet? Definitely go to jeweller Catbird for a browse. 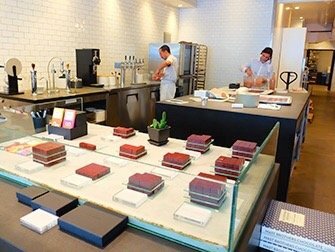 End your shopping day at Mast Brothers Chocolate and buy some of their delicious artisanal chocolate. 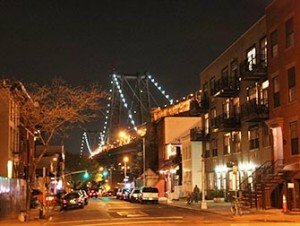 The cultural diversity of New York can be easily reflected in the many culinary options available and Williamsburg is a perfect example of this. 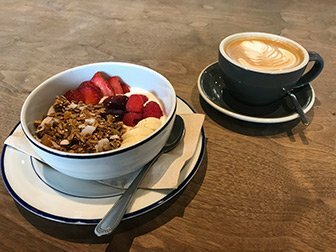 For breakfast with good coffee, go to Toby’s Estate Coffee. Or do you fancy a hearty breakfast with eggs? Then Egg is the place for you. For a tasty vegan meal, head to Wild Ginger Pan-Asian Vegan Cafe. However, if you have more carnivorous cravings, try some southern style barbecue at Mable’s Smokehouse & Banquet Hall. If you like Mexican, go to Mesa Cayoacán for authentic and innovative fare. Not to forget the beer lovers! 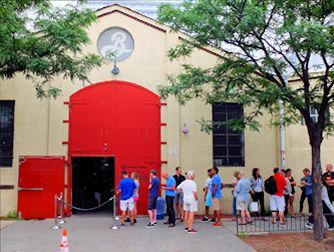 New York’s most famous brewery, Brooklyn Brewery is located in Williamsburg. If you’re stuck for choice – it happens – you can always head to Smorgasburg, the foodie market with over 100 vendors where you can find food and drinks from all over the world. On pretty much every corner in Williamsburg you can find a decent bar. Are you looking for something casual with an authentic, local atmosphere? Then go for a locally brewed beer at George & Jack’s or Greenpoint Beer & Ale. Another option is the little bar, Soft Spot on Bedford Ave where they have a cosy atmosphere and large terrace out back. Most importantly, they have awesome happy hour deals and if you prefer a cocktail to an IPA, the pomegranate margaritas will not disappoint. A nice spot for date night; go for dinner and a movie at Nitehawk Cinema where you can order food before or even during the film. Alternatively, head to The Music Hall of Williamsburg for live entertainment. 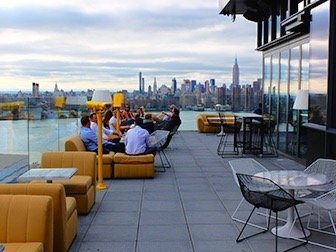 If you want a drink with a beautiful view, go to Westlight, the rooftop bar in the William Vale hotel. Eric’s Tip: If you want to learn more about the brewery culture of Brooklyn and taste some local beers, take the One Brewery Walking Tour. This guided tour takes you to a local brewery to taste the beer. You will then be lead on a walk through the local neighbourhood, including to an historical church followed by a pizza lunch and then more beers at a local bar. The best way to get to Williamsburg from Manhattan is by subway. Take the L train to Bedford Avenue. From there you can walk around the neighbourhood. You can also take the NYC Ferry from Manhattan to North or South Williamsburg.